Is this the better way to make phone calls? 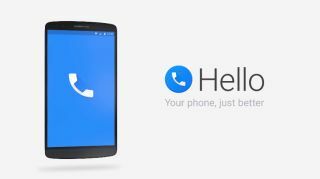 On the heels of Google's Project Fi announcement, Facebook has introduced a new dialer app called Hello. Far less ambitious than Project Fi but potentially useful in its own way, Hello is a free app that lets you make calls over Wi-Fi. You can download it from the Google Play Store and it's available only on Android smartphones. The Facebook Messenger app already lets you make free VoIP (Voice over Internet Protocol) calls but Hello will tap into Facebook to give you more information. Callers will be identified using the social media site even if you don't have their information, blocked calls will be sent directly to voicemail and you'll be able to search for people and businesses. The app is similar to WhatsApp - which just rolled out its own voice calling service, WhatsApp Calling - Skype and Viber with the added elements of Yelp and Open Table. At the moment, there's no word on whether Hello will greet iOS platforms. Spotify, Tidal, Pandora and more: which is the best music streaming service?